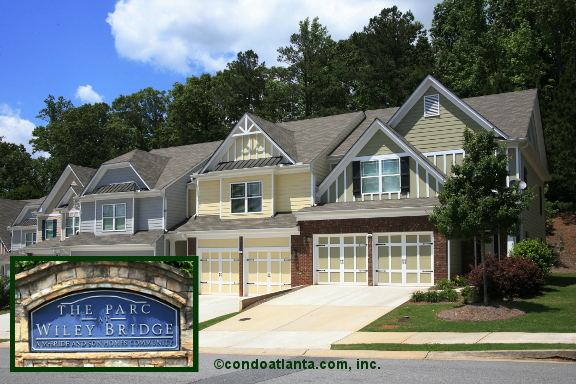 The Parc at Wiley Bridge is a community of Craftsman style townhomes in a beautifully landscaped development. Enjoy all the beneifts of a home location off Highway 92 near Kelly Lake, Lake Cherful, Garrett Lake, and the Leita Thompson Memorial Park. The Brookfield West Golf Course will capture the attention of golf enthusiasts. Love living at The Parc at Wiley Bridge convenient to the shops, restaurants, and entertainment venues of Town Center. Commuters are near the City of Roswell, and will appreciate access to travel routes along I-575.